You must buy a minimum of 12 at a time due to manufacturer packaging. My stainless steel item has fingerprints and scratches and I can't seem to get it clean. What can I do? Try using a microfiber polishing cloth. You may not need to use any chemicals to get rid of the scratches and fingerprints. If they are not easily removed by the dry cloth, our Noble Chemical stainless steel cleaner should do the trick! 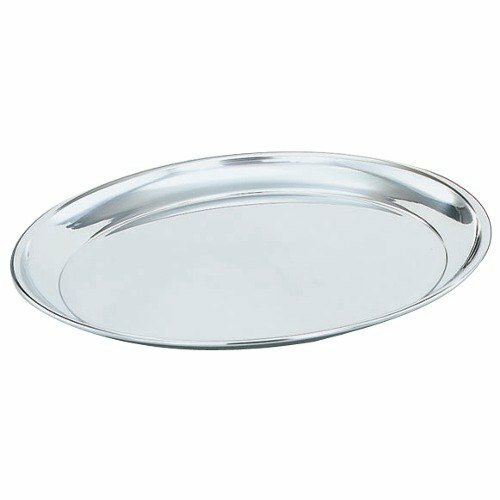 Give your buffet or tableside service a fresh look with the Vollrath 47212 12" mirror-finished stainless steel round tray! The sleek, mirror finish presents your appetizers, entrees, and desserts with a unique flair, making this tray an invaluable addition to your foodservice operation. Featuring raised edges to help keep food safely in place while also making the tray easier to carry, this serving vessel is a reliable choice for any busy restaurant or catering business. Thanks to its scratch-resistant, non-porous 18/8 stainless steel construction, this tray is as durable as it is beautiful. Its 8 percent nickel content also helps with rust-resistance, so you can avoid those unsightly spots with proper care. Great product for the price. The trays look nice and hold up well. They are easy to clean and very well made. I purchased them at least 2 years ago and we still use them regularly. Great product!